ATTENTION: ALL ORDERS ARE SHIPPED WITHIN 24 HOURS !!! We have been notified by some customers that Amazon is stating that the delivery time is 3+ weeks, that is NOT TRUE, we ship orders 6 days a week. You will receive a custom amount of Hydroton IE: 4 Liters, 10 Liters, 15 Liters in a plain plastic bag. It will not be in retail packaging as we fill the bags from larger 50L Bags which are also available. The original Hydroton® brand expanded clay is a unique, lightweight expanded clay aggregate made in Germany. This natural clay is mined, formed into pellets, then kiln fired at high temperatures to cause the clay to expand into tough, lightweight balls. Clay naturally has balanced capillary action, with an ideal surface structure. Hydroton® brand expanded clay is semi-porous and generally does not float like other products can. For best results, rinse all expanded clay before use. It is reusable as long as it is thoroughly cleaned between uses. 50 liter bags feature an easy pour spout. Size specification is 8-16 mm. The original Hydroton Brand expanded clay is a unique, lightweight expanded clay aggregate made in Germany. This natural clay is mined, formed into pellets, then kiln fired at high temperatures to cause the clay to expand into tough, lightweight balls. Clay naturally has balanced capillary action, with an ideal surface structure. 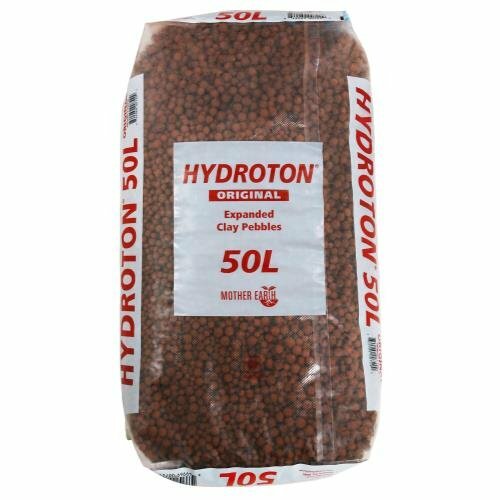 Hydroton Brand expanded clay is semi-porous & generally does not float like other products can. For best results, rinse all expanded clay before use. It is reusable as long as it is thoroughly cleaned between uses. 50 liter bags feature an easy pour spout. The size specification for Giant Hydroton is 15-25 mm. 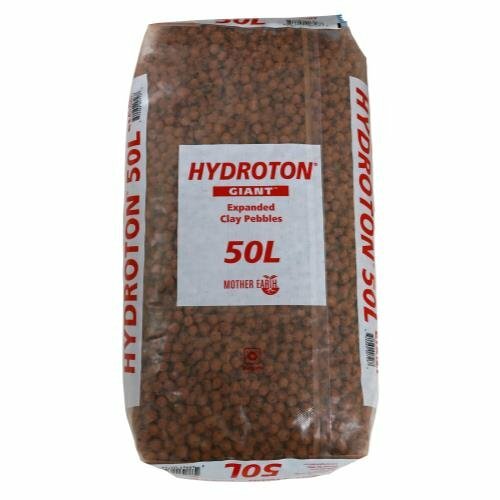 FULL 50 Liter Bag ORIGINAL "GIANT" HYDROTON 15mm - 25mm GIANT !!! The original Hydroton® brand expanded clay is a unique, lightweight expanded clay aggregate made in Germany. 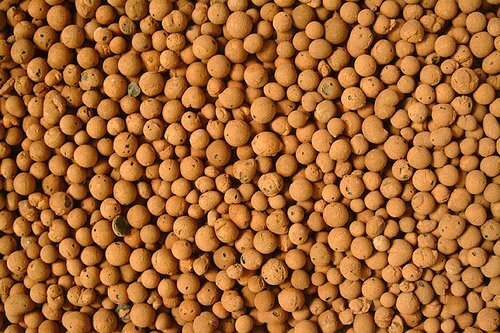 This natural clay is mined, formed into pellets, then kiln fired at high temperatures to cause the clay to expand into tough, lightweight balls. Clay naturally has balanced capillary action, with an ideal surface structure. Hydroton® brand expanded clay is semi-porous and generally does not float like other products can. For best results, rinse all expanded clay before use. It is reusable as long as it is thoroughly cleaned between uses. 50 liter bags feature an easy pour spout. Size specification is 8-16 mm. ATTENTION: ALL ORDERS ARE SHIPPED WITHIN 24 HOURS !!! We have been notified by some customers that Amazon is stating that the delivery time is 3+ weeks, that is NOT TRUE, we ship orders 6 days a week. You will receive a custom amount of Hydroton IE: 4 Liters, 10 Liters, 15 Liters in a plain plastic bag. It will not be in retail packaging as we fill the bags from larger 50L Bags which are also available. The original Giant Hydroton® brand expanded clay is a unique, lightweight expanded clay aggregate made in Germany. 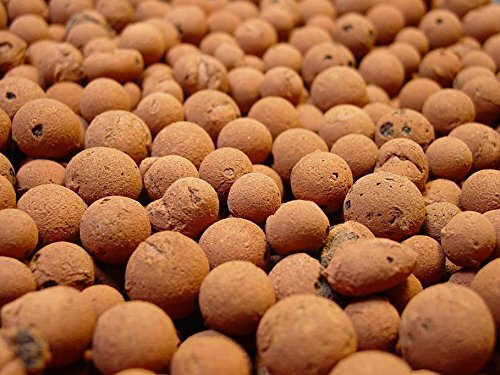 This natural clay is mined, formed into pellets, then kiln fired at high temperatures to cause the clay to expand into tough, lightweight balls. Clay naturally has balanced capillary action, with an ideal surface structure. Hydroton® brand expanded clay is semi-porous and generally does not float like other products can. For best results, rinse all expanded clay before use. It is reusable as long as it is thoroughly cleaned between uses. 50 liter bags feature an easy pour spout. Giant size Hydroton® is also available with a size specification of 15-25 mm. Copyright © Wholesalion.com 2019 - The Best Prices On Hydroton 50l Bag Online.